I’m enjoying my life in California, don’t get me wrong. But there are some things that are not to be found. 1. Cape Cod potato chips. There are some decent substitutes of “kettle cooked” chips. I believe that one can buy them online. I believe that the minimum order is six bags. Of course, shipping not included. 2. Pepperidge Farms Bread. One of my favorite breads is PF’s deli swirl rye. It’s a swirl combination of dark and light ryes. No substitute found out here yet. 3. Dunkin Donuts. One can buy ground DD coffee in the grocery store (but not decaf) and no DD restaurants. Closest substitute is Starbuck’s. I just read today that DD is expanding into SoCal again. WooHoo! STarbucks doesn’t have decaf. One of the local grocery stores has a Starbuck’s in the store and the grocery carts have a place for your cup. Cool. 4. Drive-up windows. Well they do have drive thru’s for MacDonalds, In’n’Out, etc. But not for Starbucks or any other coffee shop. You’d think that in LA where the car is king there’d be a drive thru window for coffee. Go figure. Here are things that associate with New England that one can get in LA. One more thing. We are looking for a place to buy baclava. Anyone know of a Greek bakery in the San Pedro area? Go to the “Settings” App again. 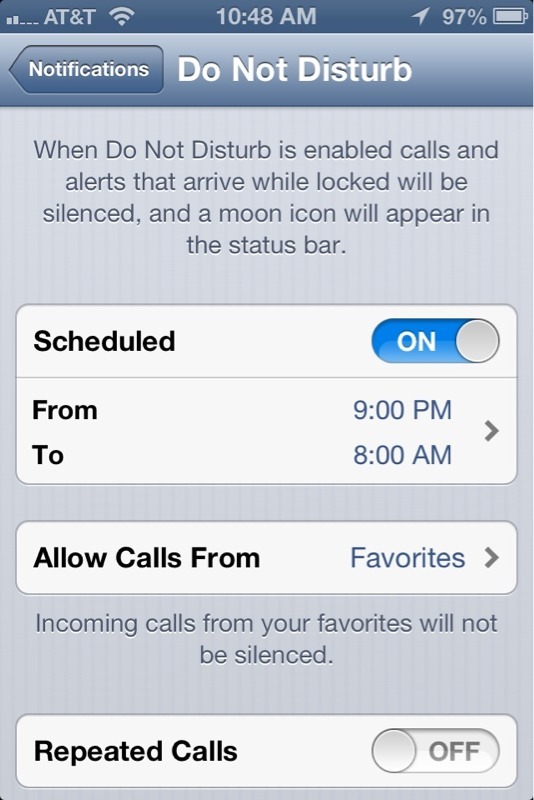 Then, tap the “Do Not Disturb” Button. Swipe the “Scheduled” switch to “On”. 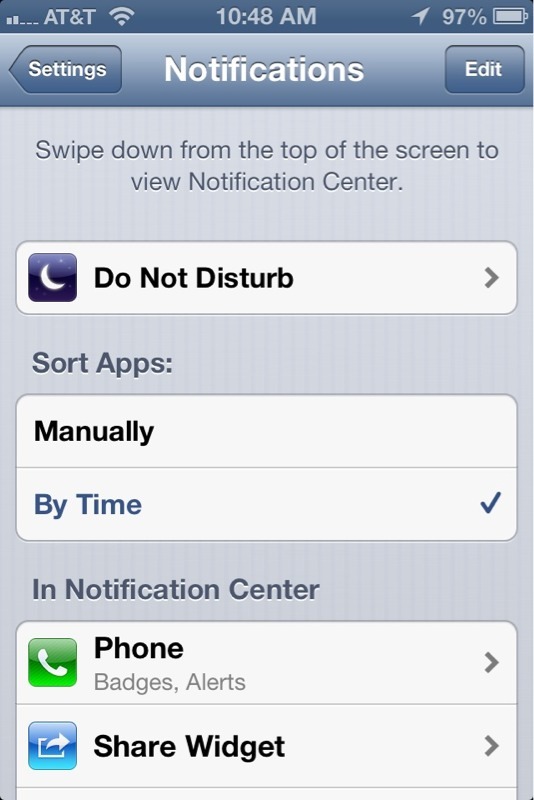 Then adjust the “From” time and “To” times to the times that you don’t want to receive calls.